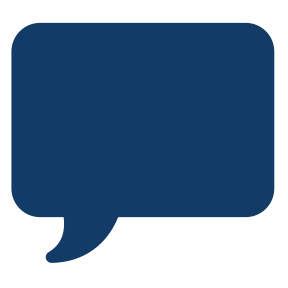 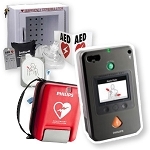 We want to make it as easy as possible for you to get your AED solution up and running quickly and effectively. 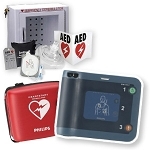 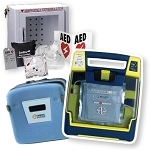 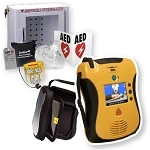 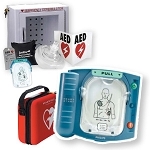 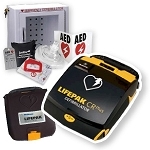 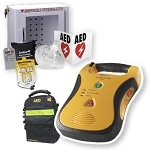 Due to popular demand, we now offer complete AED packages that include your choice of AED from well-known brands such as Cardiac Science, Heartsine Samaritan, Defibtech, Zoll, Philips, and Medtronic Physiocontrol, while also including a carry case, an AED wall cabinet, adult defibrillation pads and batteries, AED first responder kit, an AED decal sticker, 3D defibrillator wall sign, AED inspection tag, AED medical prescription, and a 5 to 7 year manufacturer warranty all at one incredibly discounted price! 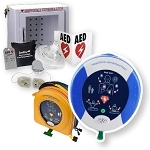 Why bother with the hassle of individually buying each component needed to fulfill your AED needs, when you can let us do the work? 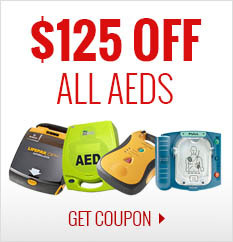 If you have any questions regarding which brand is best for you, call us at 1.800.480.1277 or email us at service@cpr-savers.com. 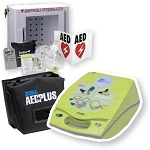 Note: Our AED Coupon does not apply to AED Packages.